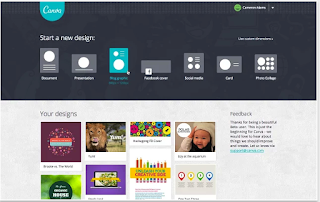 If you are looking for a very good tool to use on your Chromebook to create beautiful graphics and educational visuals, Canva is absolutely a good option to start with. Canva provides you with the tools to design your own graphics. You can either build your visual from scratch using drag and drop editor or choose from hundreds of professional templates. Once you find the template you want you can then edit and tweak it to suit your need. 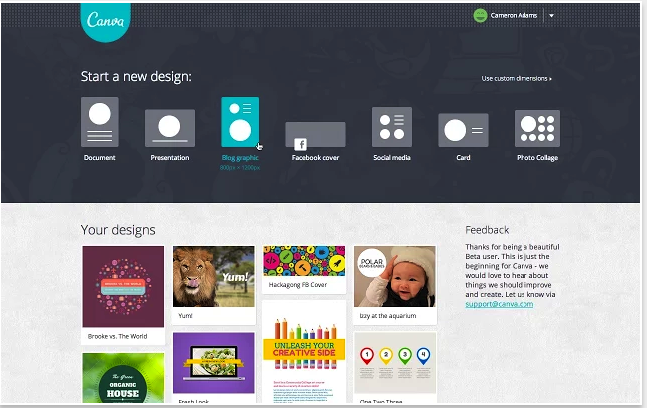 Canva also lets you use your photos or select from stock photographs and illustrations. You can insert text, stickers, shapes and and with few clicks your poster is ready to share with others through a variety of options including social media websites, email, or via messaging apps. You can use Canva to create different professionally designed layouts for : blog and website posts, cards, invitations, posters, flyers, logos, social media banners, photo collages, presentations, book covers, and many more. Canva offers several free elements to help you make your graphic stand out. These include a collection of beautiful fonts, preset photo filters, editing tools, stickers and shapes and many more. Your final product can be published in PDF format, PNG or directly to social networks. Canva is also available for iPad and the web.